Despite advances in surgical techniques and chemoradiation therapy, recurrent rectal cancer remains a cause of morbidity and mortality. After successful treatment of rectal cancer, patients are typically enrolled in a surveillance strategy that includes imaging as studies have shown improved prognosis when recurrent rectal cancer is detected during imaging surveillance versus based on development of symptoms. Additionally, patients who experience a complete clinical response with chemoradiation therapy may elect to enroll in a “watch-and-wait” strategy that includes imaging surveillance rather than surgical resection. 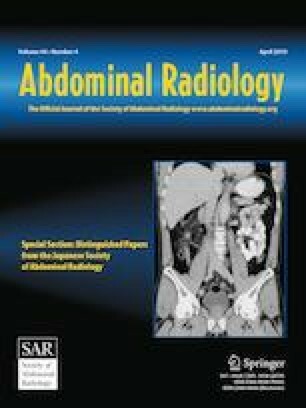 Factors that increase the likelihood of recurrence, patterns of recurrence, and the imaging appearances of recurrent rectal cancer are reviewed with a focus on CT, PET CT, and MR imaging.